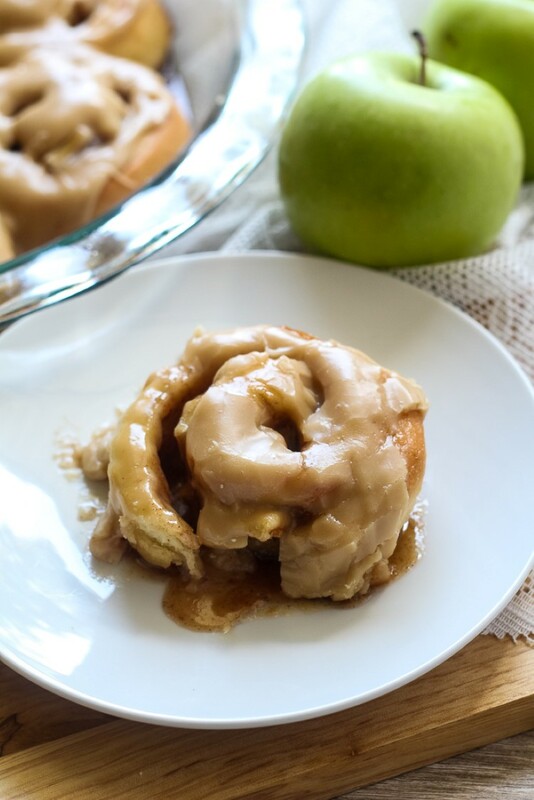 I took my favorite basic sweet yeast dough recipe, and added freshly diced apples inside the rolls along with the cinnamon and sugar. 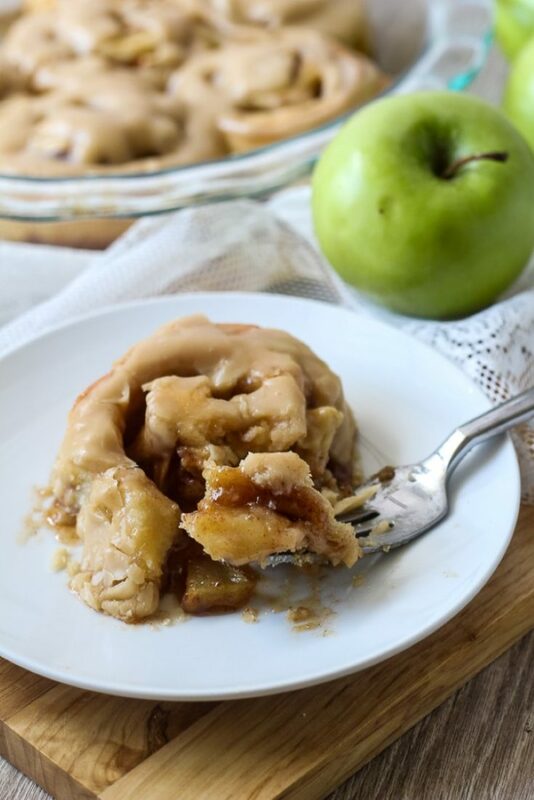 It tastes like a cross between an apple pie and a cinnamon roll. Can’t go wrong with those flavor combinations. 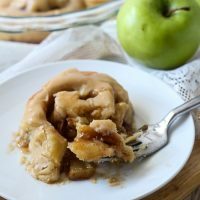 The recipe is virtually identical to my recipe for the best cinnamon rolls, only with the addition of apples. And those rolls have gotten rave reviews from many friends and family members. The only change I made was substituting in a brown sugar caramel frosting instead of the cream cheese frosting. 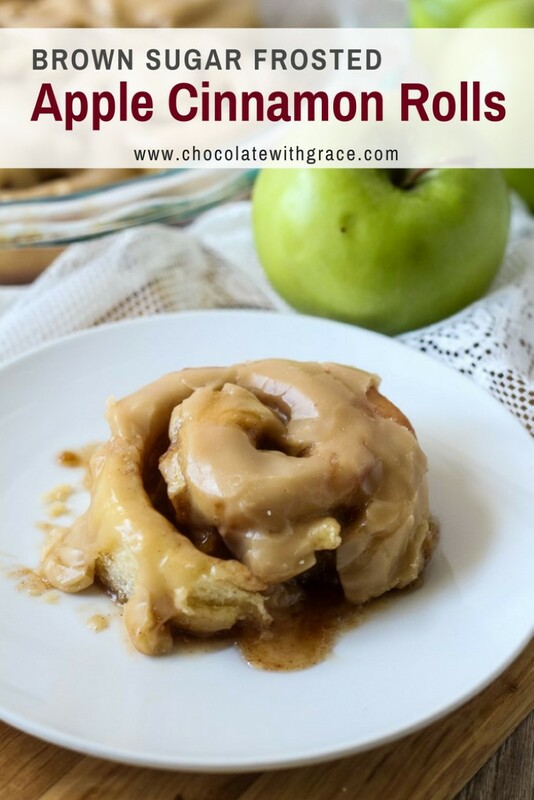 But if you would prefer a cream cheese frosting on your apple cinnamon rolls, go for it. Although, they would be missing the “caramel part of the rolls. If you’ve ever made my caramel pecan sticky buns, you know how there is a sweet sticky syrup that coats the bottoms of the rolls when you take them out of the pan. 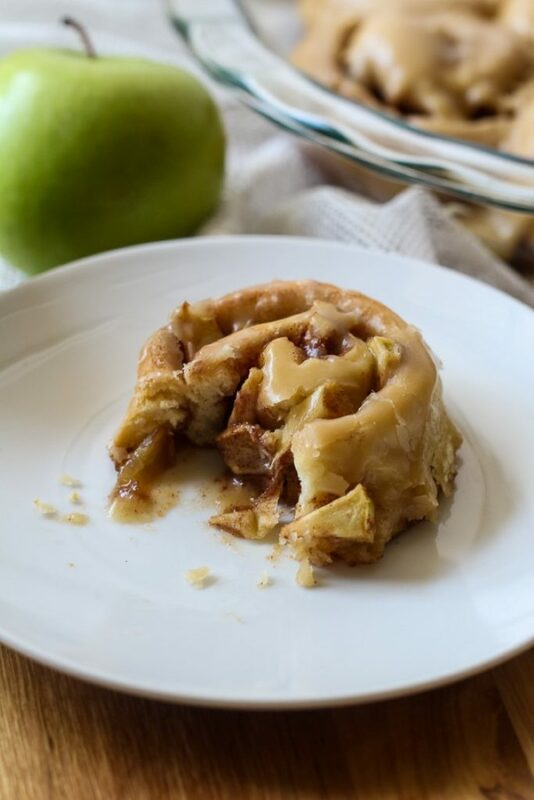 These caramel apple cinnamon rolls are similar because the juice from the apples cooks with the sugar and creates a sweet apple syrup on the bottom of the rolls. Yum! These rolls are best served warm, but are also delicious at room temperature. If you want, microwave them for 10-15 seconds to get that fresh out of the oven taste. These rolls will keep on the counter for a day or two, after that you should store them in the refrigerator. They won’t last that long though. 🙂 They are definitely best served on the first or second day. 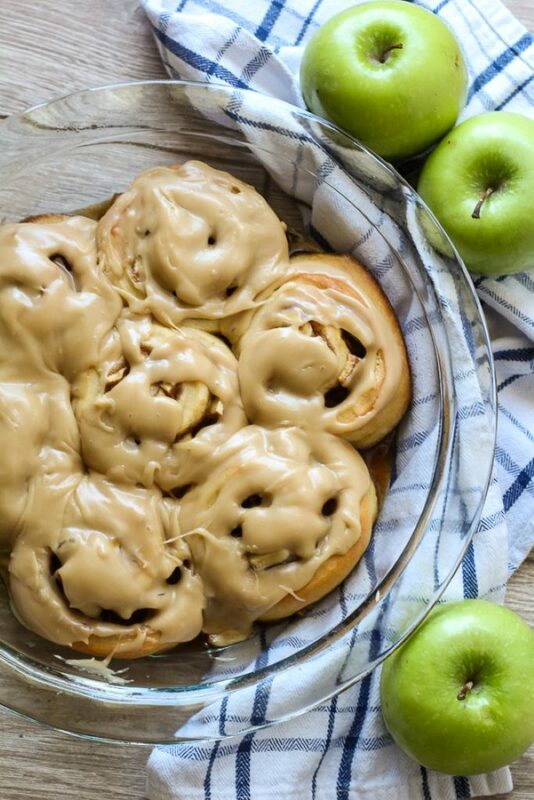 Can you make caramel apple cinnamon rolls ahead of time? Yes, my post about basic sweet yeast dough has a lot of detail on making dough ahead of time. Basically, you would make the dough ahead of time, and then store overnight in the refrigerator and roll them out, raise and bake them the next day. Or, you can make the dough and freeze it. 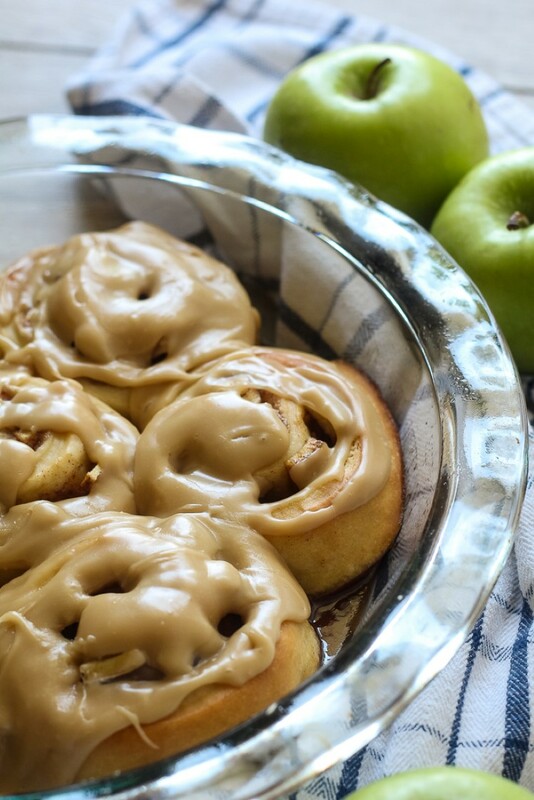 These caramel apple cinnamon rolls would make a great Sunday morning breakfast this fall. Or dessert for a fall party. If you make them, let me know how you liked them in the comments below. Spread ½ of the butter (1/4 cup) on the rectangle. Spread it to the edges, leaving 1 inch section bare on one of the 12 inch sides. 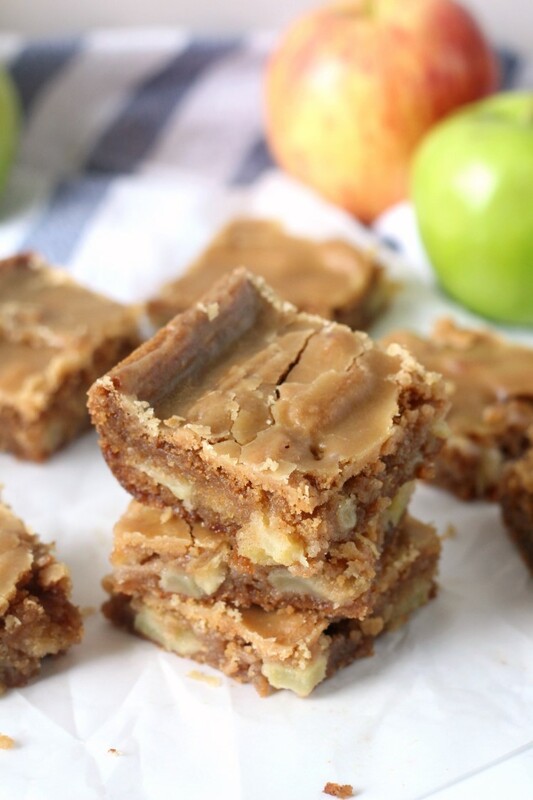 Sprinkle ½ of the brown sugar filling on top and then 1/2 of the finely diced apples. Roll up tightly starting with the 12 inch side. Cut into 1-1.5 inch sections with dental floss or a very sharp knife. Place ¾ inch apart in a greased baking dish. Repeat with the remaining half of the dough. While the rolls are baking, make the frosting. Melt the butter in a heavy saucepan over low heat. Stir in the brown sugar and salt. Bring to a gently boil and let boil for 2 minutes. Add milk and cook for 30 seconds until no longer grainy. Remove from heat and beat in powdered sugar and vanilla until smooth. They are best served warm, but will keep a day or two on the counter. 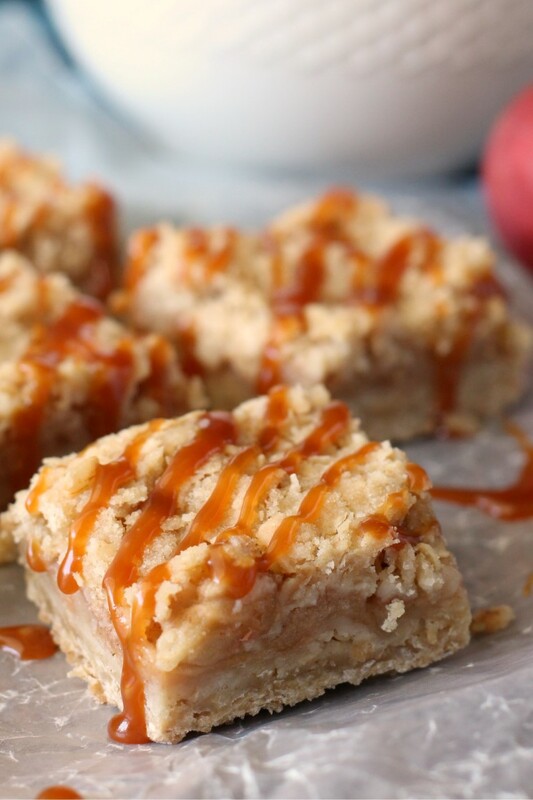 Here are some of my favorite caramel apple recipes for fall. Here are some other caramel apple yeast bread recipes from other bloggers. OMG, I’m sitting here drooling on my keyboard. These are SO perfect for fall! Holy cow these look amazing! 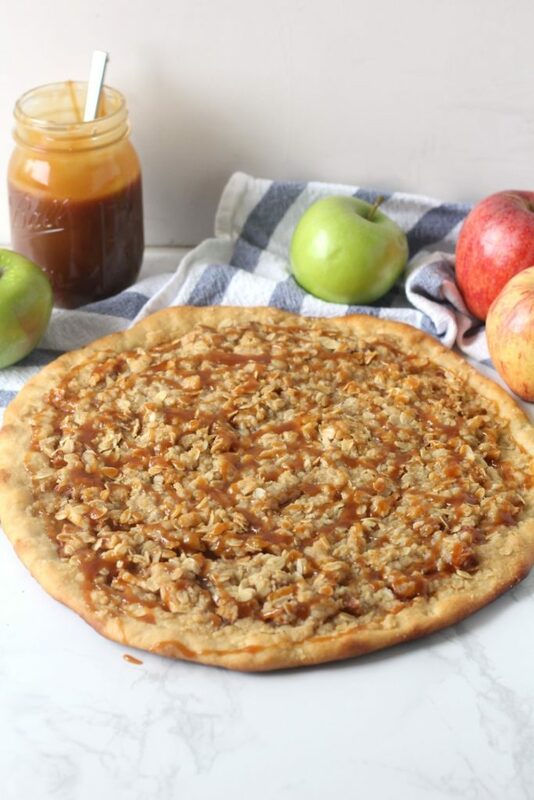 It’s the perfect fall dish! 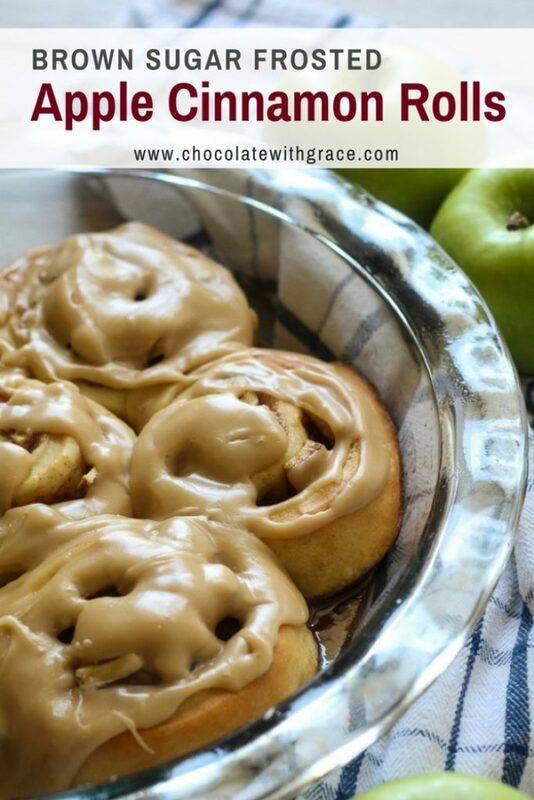 These cinnamon rolls are a must make this Fall! I love caramel apple! Holy moly!! These look amazing!! Wow! These look incredible!! Perfect for fall!